Petr Novague pays a tribute to the Czech pre-war company Laurin and Klement making us stop and stare with this mind blowing retro design. But there is more than it meets the eye. 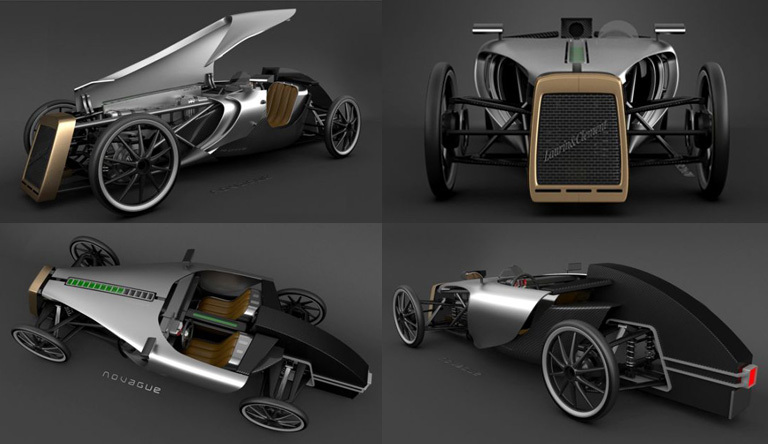 This is an environmentally friendly concept that brings together narrow wheels, tube car frame, half-hood body vehicle, carbon components, driven by electric motors located in wheels, all light weight for an energy efficient car. Batteries giving a 500 km range per charge are located under the front lid wich is design as a door as well.